If you encounter any problems on downloading, please click here. EAC (from 1.0b2 on) can make use of a plugin that accesses the professional GD3 database that provides CD metadata like track titles and cover images. You can test drive the plugin by selecting the GD3 provider in the main window using the metadata drop-down button. After 10 queries you can decide whether you want to purchase a lifetime license for only $7.99. 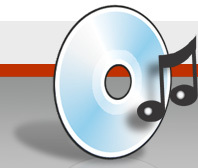 Please note: EAC is intended to be used for backing up or converting legally obtained audio CDs, EAC shall not be used for creating illegal copies of copyrighted and/or protected works. To download additional languages, or to help to translate EAC into your own Language, please have a look here. For AccurateRip support in EAC read here. EAC does include in some versions the CDRDAO CD write engine. The included executables are compiled from the unmodified original version using the GNU compiler. For source code, please have a look at http://cdrdao.sourceforge.net/. CDRDAO need an additional library, the Cygwin emulation layer. An unmodified version of the component is used, the source code can be downloaded at http://www.cygwin.com/. Daniel Schmid created a PDF file including most information from these webpages. This is still no real documentation, but is in a better printable form. Please read also the What’s New page! If you experience any problems, have a look at the Tips & Specs page. I put up a mailing list. If you want to be notified if a new version is out, then subscribe to the eac-announce list.